Midwest Veterinary Hospital is a full-service veterinary medical facility, located in Midwest City, OK, with two “satellite” clinics (Post Rd. 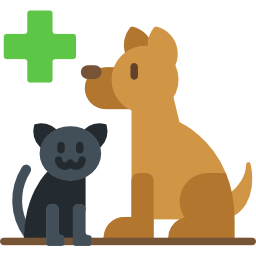 Pet Clinic and Oakwood Veterinary Clinic). Midwest Veterinary Hospital is proud to serve Oklahoma City, OK and surrounding areas. We are dedicated to providing the highest level of veterinary medicine along with friendly, compassionate service. If you have any questions about how we can care for your pet, please don’t hesitate to call us at (405) 732-4505. Thank you! There is a simple, safe, and effective way to ensure your pet's' safety and retrieval should they ever become lost. Microchipping is a standard procedure that implants a tiny chip underneath your pets' fur. It is a painless and relatively fast procedure and is completely safe. I have been going to this vet for 8 years. They do not over charge, they are good with cats and dogs, also they give advice and answer and explain things rather than treat you like you're doing something wrong. I love this clinic. This place is such a good place to take your animals too. Very decent prices and the staff and doctors are amazing! The vet old man was very nice and friendly and kinda cool. Seemed to absolutely love animals . Went here having to put our dog Ruby down. It was the hardest thing to do. In the haze of it all, I couldn't remember the Dr.'s name, he was literally amazing! He truly comforted us and made a horrible situation bearable! A million thank you's!! !